Having the right dozer is critical when it comes to getting your next construction or mining job done right and on time. At Rackers Equipment Company, we strive to offer our customers a large selection of options when it comes to track loaders and dozers. 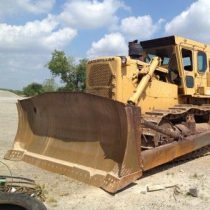 In fact, we have many used track loaders and Caterpillar dozers for sale in Missouri. Although these are used machines, you have our guarantee that they are all high-quality machines in working order. Beyond our diverse selection, you will also find that we offer affordable prices and excellent customer service. No matter what type of dozer or track loader you need, we are here to help. 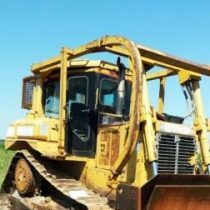 You can enhance your construction operation in no time by purchasing one of our used track loaders or Caterpillar dozers. Browse our online catalogue to learn more about each of our machines. If you have any questions, give us a call today to speak with a member of the Rackers Equipment Company team!